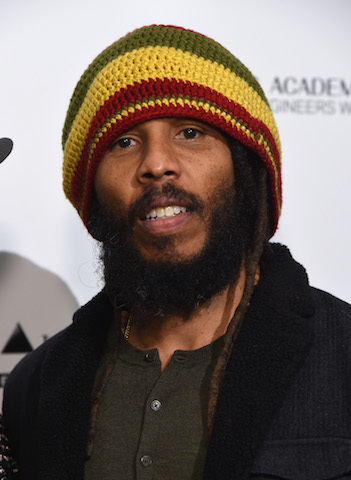 Ziggy Marley and Dave Matthews were some of the many musicians who were in attendance to help honor the iconic Willie Nelson who was honored at the Recording Academy Producers & Engineers Wing 12th Annual Grammy Week Celebration. With a six-decade career and more than 200 albums, Nelson is the creative force behind historic recordings such as “Crazy,” Red Headed Stranger, and Stardust. He has earned innumerable accolades as a songwriter and musician, while also amassing admirable credentials as an author, actor, and activist, and he continues to thrive as a relevant and progressive musical and cultural force. A leading figure in outlaw country music, he is also known for his hugely successful collaborations with Waylon Jennings, Merle Haggard, Julio Iglesias, and with the Highwaymen supergroup (Johnny Cash, Jennings, Nelson, and Kris Kristofferson). In addition to eight Grammy Awards, Nelson has been recognized by the Recording Academy with the President’s Merit Award (1986), GRAMMY Legend Award (1990), and Lifetime Achievement Award (2000).